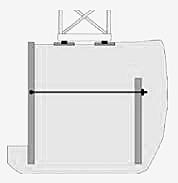 Vertical anchors are generally prestressed and improve dams' rollover resistance, while reducing water seepage along the line of contact with the rock. Anchoring techniques strengthen retention of the galleries by balancing the forces of the ground. 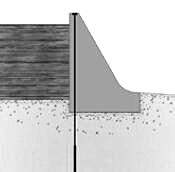 This type of application is found in mines and tunnels. 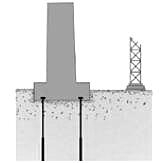 Vertical anchors provide an effective link between the foundation and the ground, while curbing the effects of fatigue when prestressed. 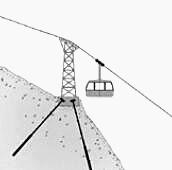 Anchors can be used for towers, radio masts, wind turbines, etc. 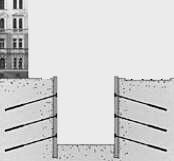 Anchors enable structures to be built on land with a low bearing capacity or unstable land. 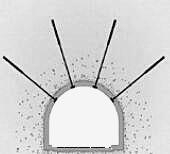 The vertical loads of the structure are transmitted to the deeper, stable areas. 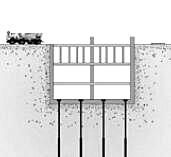 Corrosion-resistant anchors are used to hold structures in place that are subject to significant water uplift pressure and therefore enable structures to be built in wet areas by compensating for the principle of Archimedes.